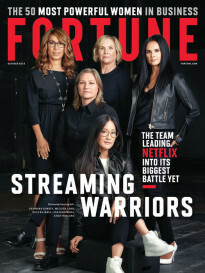 Over the course of two decades, Netflix has transformed itself repeatedly, from a DVD rental service, to an upstart streaming service, to a path-breaking home of original series and movies. This year, it’s taking on a new role—the biggest single source of video entertainment in America. That’s clear from two new pieces of data. First, The Economist projected on June 30 that Netflix will spend $12-13 billion on original programming this year. That’s much more than the $8 billion it planned to spend as of October 2017. It would also be vastly more than legacy studios are spending: HBO spent $2.5 billion on content in 2017, and even CBS spent just $4 billion. That’s helping the streaming service attract major talent, from Chris Rock to Shonda Rhimes to David Letterman. Netflix will also, according to The Economist, produce an incredible 82 feature films this year, compared to just 23 for Warner Brothers and 10 for Disney. And for all that, Netflix may not be done growing: Goldman Sachs projects Netflix could be spending $22.5 billion on content per year by 2022. But anyone can spend money. An even more stunning number came last week, when a survey found that Netflix is the single most popular way to watch video content on a television. The survey of 2,500 U.S. adults found that 27% of respondents used Netflix most often to watch video, trailed by basic cable at 20%, broadcast TV at 18%, and YouTube at 11%. Netflix had an even bigger lead among adults 18-35, dominating the viewing habits of 40% of respondents in that age group. There are a lot of obvious reasons for that dominance, with The Economist focusing particularly on Netflix’s ability to use data to cater to individual tastes, both in what shows it pushes to each viewer, and what shows it makes or buys in the first place. Netflix is also far more convenient to watch than basic cable, and by most measures, much cheaper. But it’s not all about the technological advantage: Netflix has managed to produce a consistent stream of popular, critically acclaimed series like GLOW and Bojack Horseman. Netflix, in other words, is getting enormous bang for its enormous bucks. 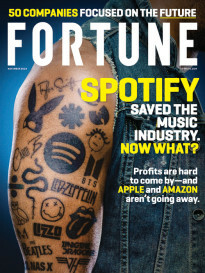 If its momentum continues, what does a future dominated by Netflix look like? It might make the AT&T-Time Warner merger look less like consolidation and more like a “Hail Mary,” for one thing. Cable distributors will only feel a tighter squeeze with HBO and Disney preparing to emulate Netflix’s end-run around them. Because it can precisely target smaller audience segments, Netflix could also become a major funder of smaller, more unique independent productions—it’s worth remembering that Netflix’s original content strategy was spearheaded partly by the resurrection of Arrested Development, a famously weird and independent-minded TV series with a passionate following. At the same time, for better or for worse, Netflix will help make entertainment more uniform globally: while its library varies by locale, the service already has around 124 million subscribers outside of the U.S.